Country and bluegrass favorite Jim Lauderdale filmed a scene for MFH in Nashville, taking a break from touring with Elvis Costello and in support of his own new album, Patchwork River, with songs co-written with Robert Hunter (legendary lyricist for the Grateful Dead). Jim’s latest album hit the charts this week: #4 on the Americana charts, #38 on Billboard Heatseekers, #47 on Billboard Country. 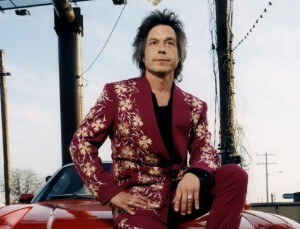 Jim is seven-time host of the Americana Music Awards and has won the Artist of the Year and Song of the Year. Jim seems to be everywhere on the music scene today: he sings harmony on the latest albums of both Elvis Costello and Willy Nelson, he is part of a new exhibit at the Country Music Hall of Fame, he produced a Grammy winning collaborative album with Dr. Ralph Stanley, and Jim co-wrote George Strait’s hit song “Gotta Get to You,” currently #3 on Billboard’s Country charts. Other performers who have covered Jim’s songs include Patty Loveless, George Jones, The Dixie Chicks, Lee Ann Womack, and Vince Gill.